Simon, one of the Asian small-clawed otters at the SF Teaching Zoo, passed away Tuesday, Jan. 22, 2019. 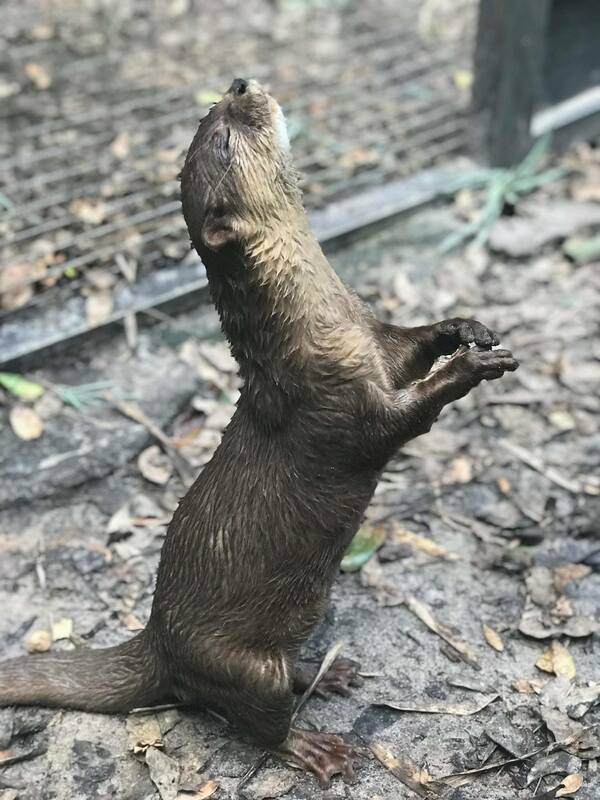 January 25, 2019 – Zookeepers at the Santa Fe College Teaching Zoo discovered Tuesday morning that Simon, one of the resident Asian small-clawed otters, had died. Simon came to the SF Teaching Zoo from Kansas City Zoo to be a companion for Makara, the female otter. The otters were introduced on March 23, 2017. Initially, zoo staff kept them in separate areas where they could see and smell each other, but had the safety of a barrier. After a few minutes, it became abundantly clear by their excited vocalizations that they were ready to meet. The moment the door opened, Makara gave Simon a bear hug and never left his side. Simon, (front) and his companion, Makara, at the SF Teaching Zoo. In the wild, Asian small-clawed otters can live up to 10 years. But in zoos, they often live well beyond that. At nearly 14 years old, Simon was considered geriatric. He received daily medication to alleviate his discomfort from arthritis. Miranda Carrington, a recent graduate, was his dedicated trainer. She spent her time at the zoo finding ways to give Simon the best quality of life possible. The teaching zoo is currently awaiting information on the cause of death from the University of Florida College of Veterinary Medicine Zoological Medicine Service. 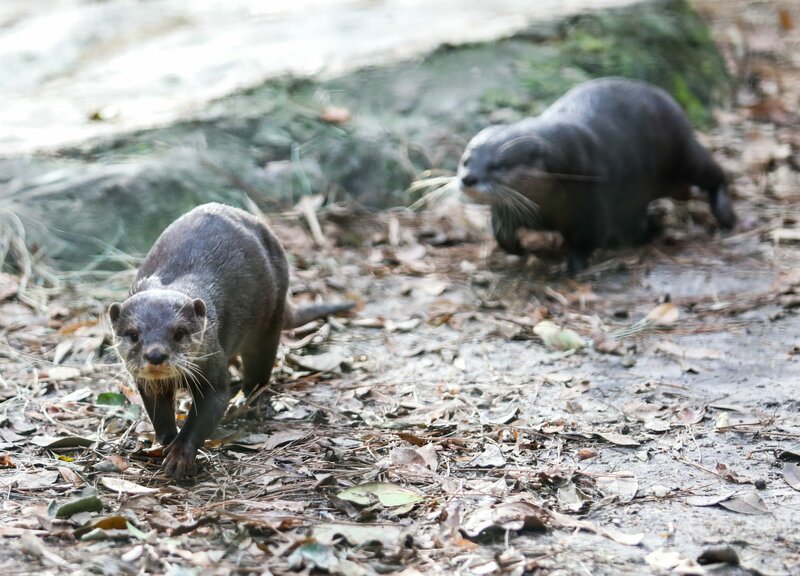 The Asian Small-Clawed Otter Species Survival Plan Program is working to find Makara a new mate. In the meantime, zookeepers will be giving her extra enrichment and interactions.